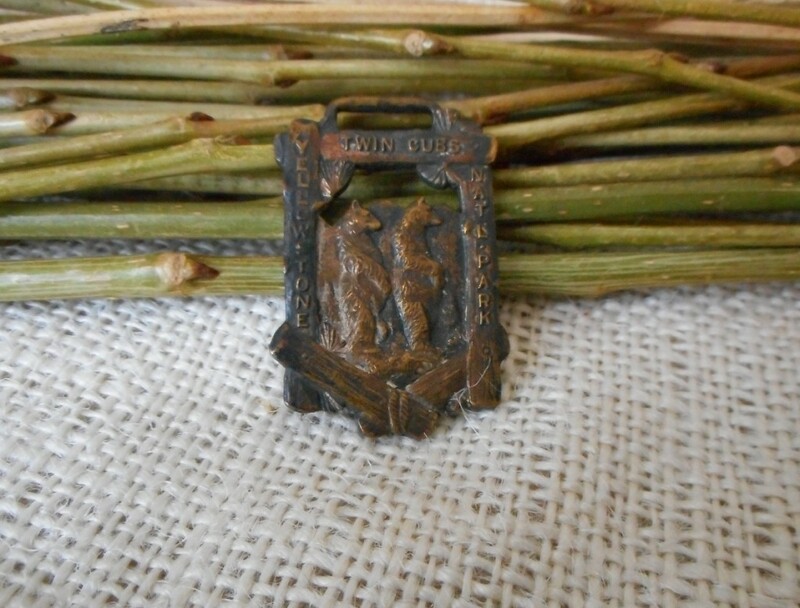 Rare Yellowstone watch fob featuring openwork image of the famous Twin Cubs. In brass, with a rustic log frame effect. In nice condition with little wear. Circa 1920. Measures 1.5" x 1". Circa 1920.